The word transfiguration is long, strange and used only on this day for this story. Given that it may be simplest not to use it with children (or even adults) at all. If you do use it print it on a large poster to use in sounding out the word. Point out the two key parts “Trans” (change) and “figure” (shape or form) to define what happened in this story. Prominently display in a group all the candles you use in worship during the church year: Advent wreath, Christ candle, baptism candles, altar candles, small candles used in Advent/Christmas candle lighting services. 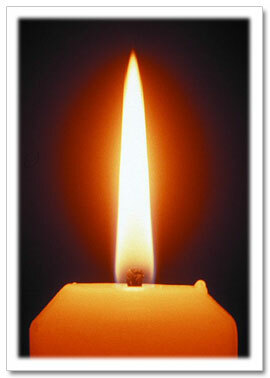 As you light them recall how they are used referring to the light they represent. Then note that in today’s gospel reading Jesus shines brighter than any of them or all of them together. Encourage worshipers to listen for Jesus shining. Then, read the text. Jesus told stories that made people think hard. 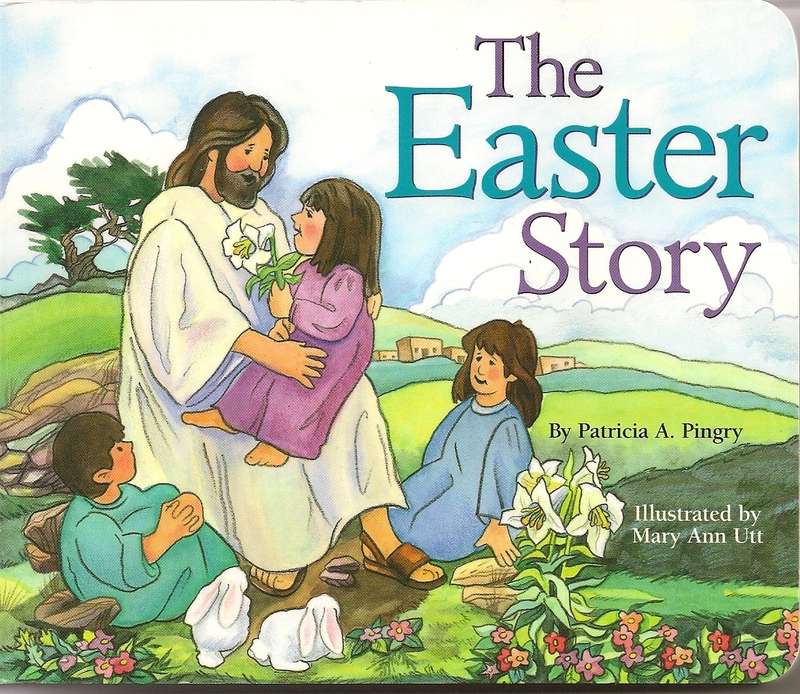 Ø The Easter Story, by Patricia Pingry, is the best readily available short book telling this story. My copy is a board book. If I read it I would omit her theological interpretations of the story on the first and last pages and simply read the parts that tell the story. Ø If you have a teaching picture file in the church school area, select pictures that tell the major events in Jesus’ life. Display them in order as you tell the story in your own words. Ø Since this is the halfway point between Christmas and Easter, display the crèche and a free standing golden cross. Remind people of the baby Jesus, then point out that during the coming weeks you will be thinking about the man that baby grew into. Summarize Jesus ministry. Then, pointing to the cross note that Jesus was killed on a cross that was not golden and beautiful, but splintery wood covered with his blood. Because Jesus did not stay dead but was alive on Easter morning, we now make gold crosses. These crosses remind us how much God loves us. The transfiguration story which is about halfway between the crèche and the cross reminds us of that love before we listen to all the sad, angry stories of Lent. 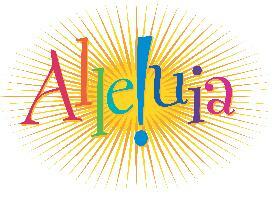 This is the last “Alleluia!” day until Easter. Alleluia is a word the disciples might have said after seeing Jesus transfigured and is a good word to say, sing, and pray repeatedly today as we remind ourselves of who Jesus really is. Display “Alleluia!” banners. If you are going to bury an Alleluia poster or banner next week for the beginning of Lent, display and talk about it in worship today. Sing a “Come Christians Join to Sing” or “When Morning Gilds the Sky” challenging even non-readers to join in on their repeated praise choruses. 1. listen to stories of Jesus. The gospel readings are not stories about sweet, gentle Jesus, but about strong, brave Jesus who calls us to be like him. When we talk simply but truthfully to children about these stories we call them to fuller discipleship and we often speak to adults who are listening too. Encourage the congregation to listen to Mark tell us about Jesus by giving everyone a bookmark with readings for each day (or for each week, if that is more realistic) to read at home during Lent. Households can read together. Or, older children (5th and 6th graders) can be encouraged to read on their own. Check in during worship frequently during Lent to see how many are practicing this reading of listening. 2. listen to God, i.e. pray. Challenge each household to pray the Lord’s Prayer together each day during Lent. Explore different times when it might be done – before or after meals, bedtime, even in the car (if that is when you have quality time together). Check in during Lent to see who is trying the challenge. Tell stories about prayer and praying. 3. Listen to other people around you and around the world. Jesus listened and responded to the people around him and calls us to listen to the people around us and those all around the world who need us to hear them. Select at least one sharing-serving project in which worshipers of all ages can participate during Lent. Many denominations take up a Lenten offering for disaster relief and third world hunger and health assistance. These come with educational materials and coin boxes for the children. This year talk about the offering each week as a way of listening with Jesus to the needs of the world and responding. Go to Year A - Transfiguration of the Lord for additional Transfiguration ideas that might work with Year B as well as Year A. For children this is mainly a story about another fiery scene. In this one Elijah doesn’t fade away in death, but is carried away in a flaming chariot. It raises all sorts of questions like, “Why did Elijah get this showy treatment while others do not?” “Why did the disciples see Jesus all lit up and Elisha got to see Elijah go to heaven in a flaming chariot and I never see anything like that at all? Am I too bad?” So, when the story is mainly a companion to the gospel story, I’d leave it out. Several commentators insist that this is really a story about passing the mantle to the next generation. Elisha sticks with his mentor Elijah until the very end, then lets him go and takes up his work of prophecy. That is not very meaningful to children either. Bottom line: in spite of all the wild pyrotechnics, this is not a story that can be shared meaningfully with young children. Save it for later. This is the beginning of a psalm in which God summons the people for a trial in which God will judge them. For children to follow it they need to understand the trial image and be told these verses are about the power of the Judge. On the Sunday before Lent, it might be used to call worshipers to Lenten repentance. I suspect, however, that by the time you got the trial scene and the glory vocabulary explained, no one of any age would care much. So, simply read this encouraging children to listen for words about God’s power and glory. This is another text children will not understand as it is read. In it are two ideas that might be of interest to them. First, it is possible to not see God’s glory when it is right in front of you. We can pay so much attention to toys, video games, our friends, our sports that we miss God. There were people who lived at the same time in the same place Jesus lived and ignored him completely. They really missed out! God is at work in our world today. We don’t want to miss out on that the way they missed out on Jesus. Second, verse 6 summarizes the whole Epiphany season. We do see God’s glory in Jesus, not just at the transfiguration but in everything he says and does. A post Sunday comment - I teach second grade Sunday School (and always start preparation with your comments). My children immediately linked 'transfiguration' to transformers and figured out that it must mean change. 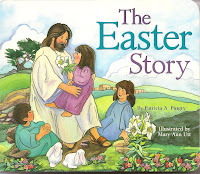 It was intriguing to watch a very secular toy help children begin to understand one of the key stories of the faith. I teach first and second grade too and had the same experience. In opening assembly the leader said "Today we have a story about a big word - transfiguration" to which a second grader immediately said, "I have a transformer. Is this about people who can change?" And we were all off and running. Thanks for sharing. I love what you've written here about transfiguration. As a Catholic, I'm teaching/preaching this to our children's liturgy today (second Sunday of Lent). I taught it several years ago and felt like I did not have enough tangible resources to give them--but the creche/cross, the story of Jesus' life, the focus on the listen (as a Benedictine oblate I love that word). Good stuff. And I wish we called our ordinary time between Christmas and Lent "Epiphany Season." How perfect. Thanks for the ideas and inspiration! It is good to hear from you, Bridgett. I'm glad you finding this useful.